There are two sides to the unknown. There is the side of the unknown that says, “you don’t know what lies ahead, and you have no idea how difficult it might be” But the other side of the unknown says this: “you don’t know what lies ahead, but you have no idea how brave you’re going to be.” Whenever you think of the unknown future, it can be tempting to only think about what is going to happen to you. But what about the things that are going to happen through you? 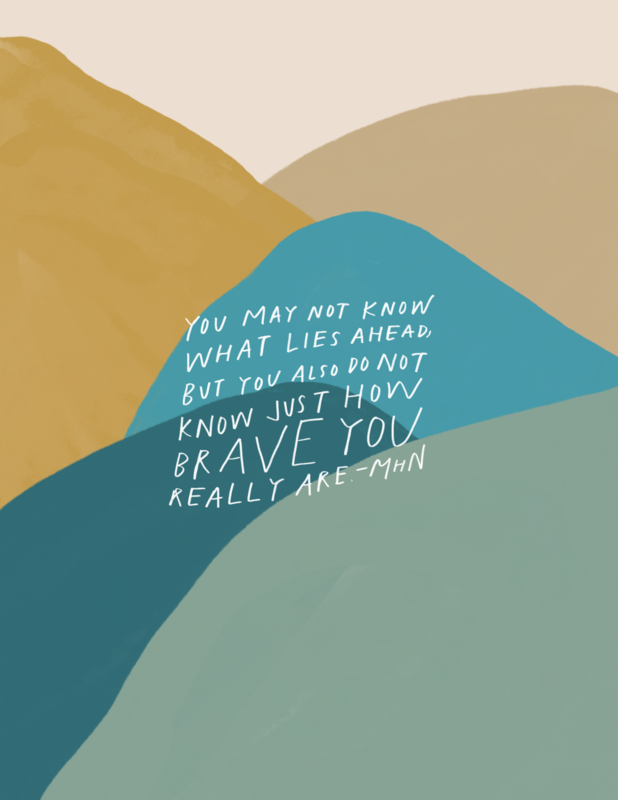 As terrifying as the unknown future might be, what if you still had the strength and bravery you were going to need? There is no way of knowing what tomorrow holds, but perhaps, even here, you can hope that good will come of it.